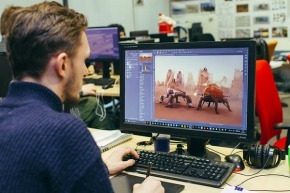 The BA Video Game Art undergraduate degree course responds to the growing demand for skilled, team-orientated, reflexive graduate professionals ready to succeed. 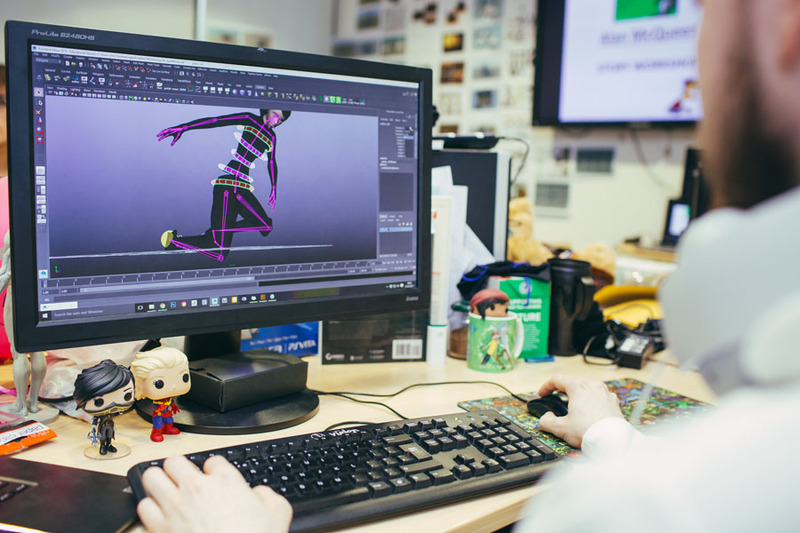 Building upon your core and technical art skills, in the first year you will be tasked with a specific role within our in-house game development studio over the summer term. This work experience gives you the opportunity to apply the knowledge and professional practices you’ve learnt on the course in a safe and supportive environment. Typically for these projects you’ll be using industry-standard game development tools such as Unity and Unreal. 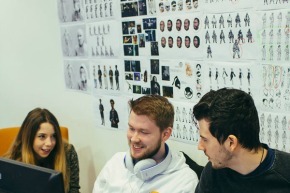 These summer projects have in the past been mentored and supported by external partners such as Red Bee Media, FreeStyleGames and Codemasters. 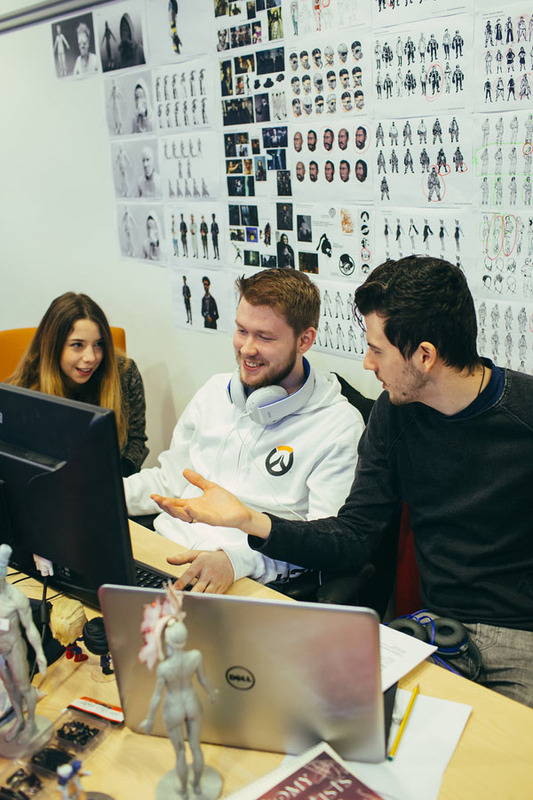 The work you’ll produce during these summer placements can act as excellent portfolio pieces, demonstrating your ability as both a professional artist and effective team member. During the first year, teaching methods may include practical sessions, lectures and group debates, featuring input from both University staff and guest lecturers from industry, providing you with a wide range of practical knowledge and insight. The purpose of this module is to give you the opportunity to learn and then apply fundamental art techniques and methodologies. Students will work individually to produce a sketch book based upon a defined theme. Sketching can be used to develop ideas at various stages of the design process. For example, to establish an overall form and using perspective drawings and construction lines can assist the artist in developing ideas by considering how the object will look from various different views. The work students will be given mirrors creative industry advice about art practice and will require an element of research and skill application. The practical nature of the module will enable students to apply knowledge gained and in applying the art theory, students will have to examine a range of foundational art techniques required by all creative industries. In industry artists spend much of their time tackling complicated design briefs. Therefore, employers desire artists with highly developed problem solving and practiced art foundation skills. The purpose of this module is to give students an up-to-the-moment introduction to the working methodologies of 2D video game production. 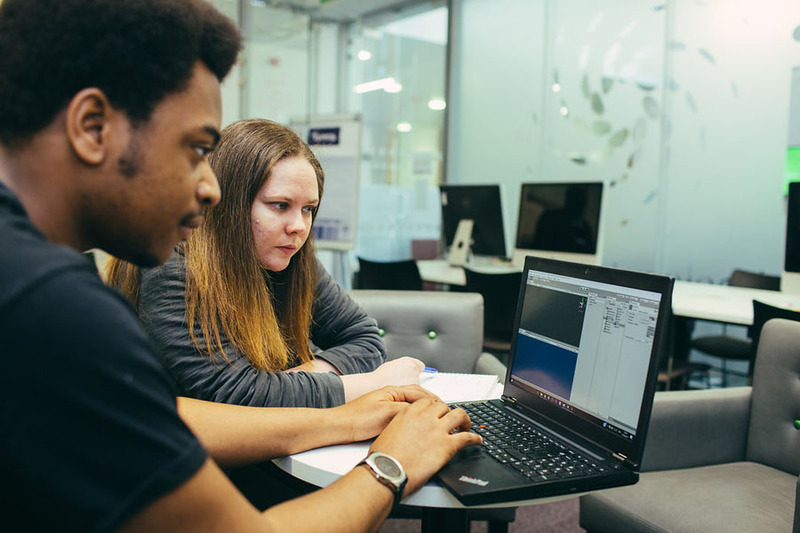 This module allows students to experience the challenge of completing the research, concept and development phase of a 2D video game project. 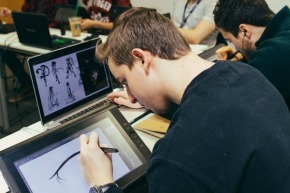 Working in small art teams, students will research appropriate art styles and comparative game products to define their own unique art style. 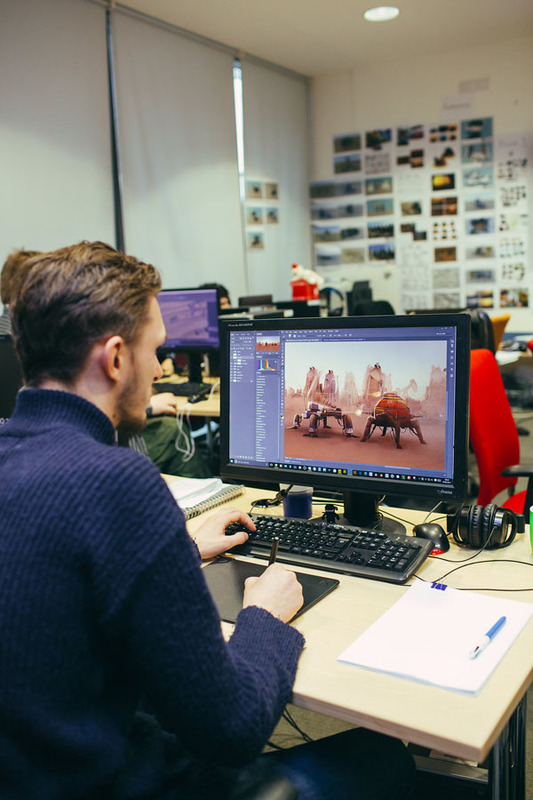 The focus of the module will be on 2D game development disciplines, for example; 2D environment, concept, 2D character, GUI/UX and sprite animation. 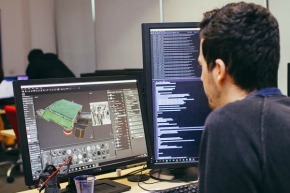 The purpose of this module is to give students to opportunity to learn and then apply fundamental 3D modelling techniques and texturing methodologies. 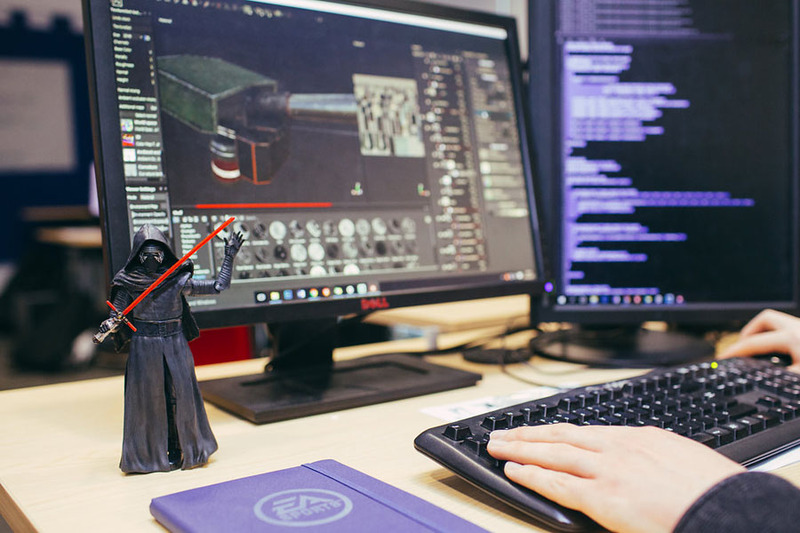 Students will work individually to produce a game ready 3D prop asset for use within a game engine. You will be tasked with completing a project over a short development / production period. This project may be set either by an academic or course industry-partner. The module is an opportunity to learn about the nature of storytelling, audience engagement and the variety of methods and tools a writer or communicators has at their disposal to engage, inform, excite and elicit emotional response from the audience The ethos of the module is that of a ‘Story-Jam’, where student teams will be tasked with completing a narrative challenge game brief inspired by either; a broad theme, a defined genre or a defined story arch. During your second year, there will be a further opportunities to learn from guest lecturers. 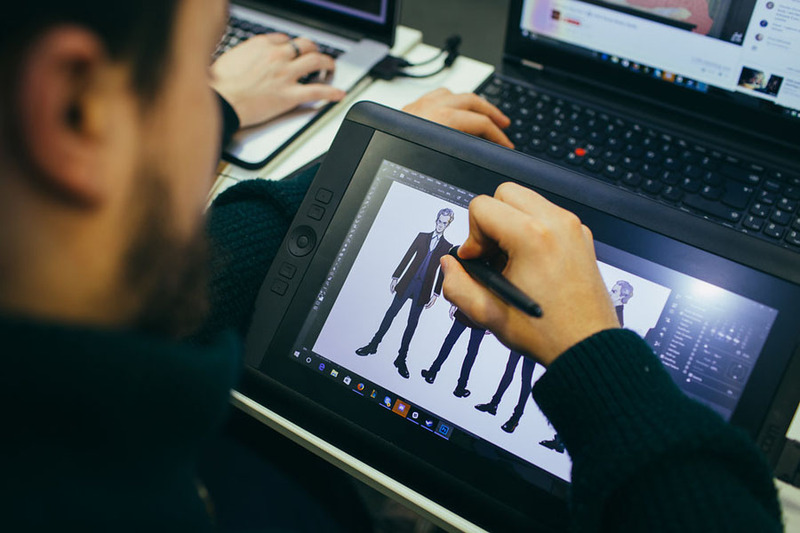 You will undertake one major project module, where you will go through the process of scoping, defining and pitching the creation of your own project, which may include your own art assets, a new product, or even working with an industry partner to respond to a brief they have set. 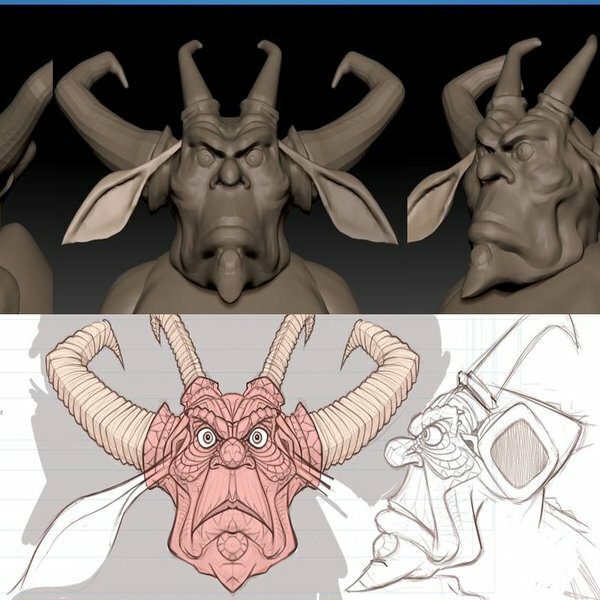 The purpose of this module is to give students to opportunity to learn and then apply fundamental 3D sculpting and texturing methodologies for game character development. 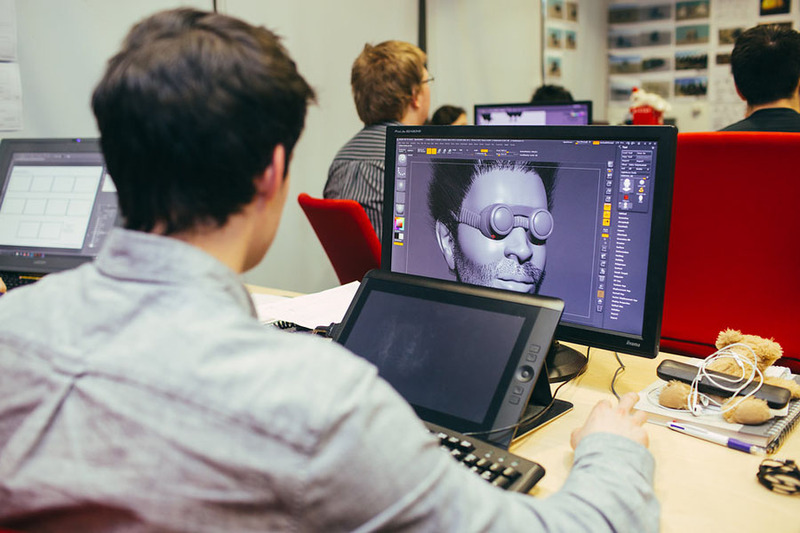 Students will work individually to produce a game ready 3D character bust/asset for use within a game engine. 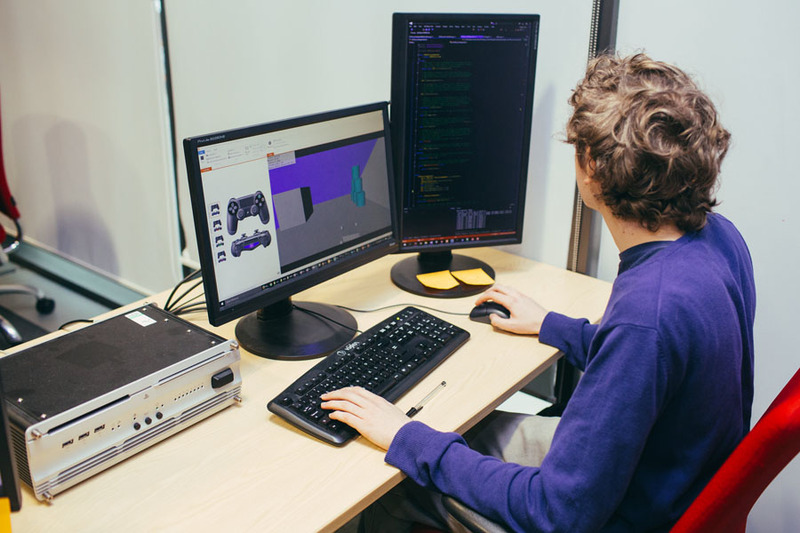 The purpose of this module is to give students an up-to-the-moment introduction to the working methodologies of 3D video game character art production and this module allows students to experience the challenge of completing the research and development of a 3D video game character asset. 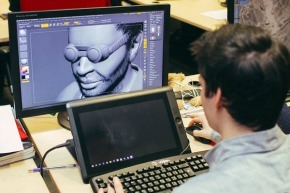 Working individually, students will research appropriate production workflows and retopology creation methodologies, to define and develop their own unique game characters. 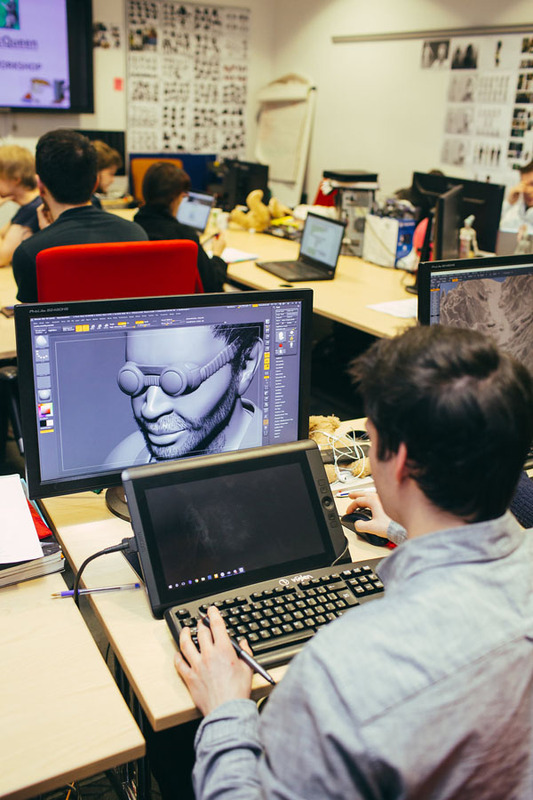 The focus of the module will be solely on the 3D game development disciplines of character artist. This is due to the complexity and distinct specialisation that this role has within industry. 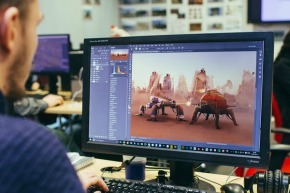 The purpose of this module is to give students the opportunity to learn and then apply fundamental 3D animation techniques and skinning methodologies for game character development. 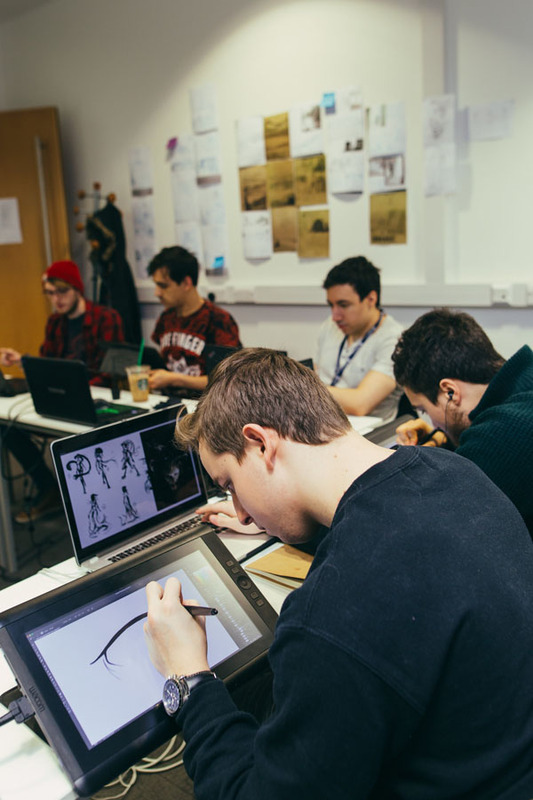 Students will work individually to produce an animation ready, 3D game character asset for use within a game engine. 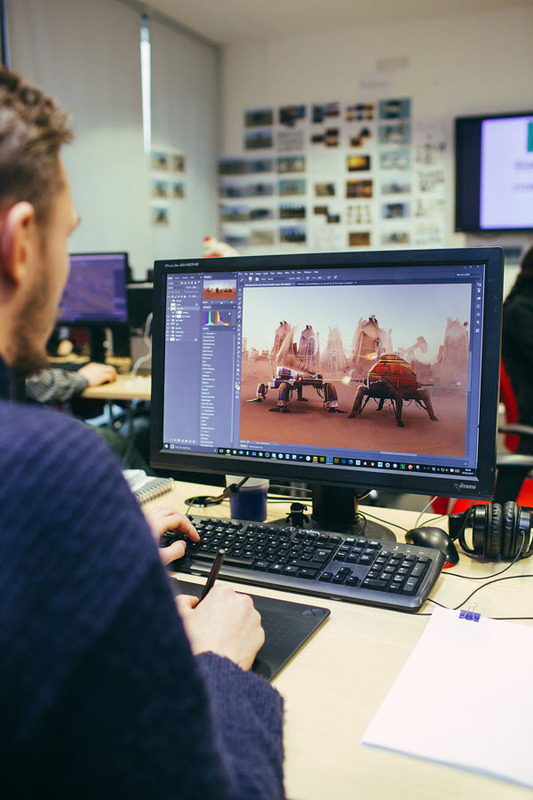 The Video Game Design and Production course is all about providing you with the crucial experience-based learning you'll need for your career. To this end during the summer term, you will be required to attend an in-house work placement. 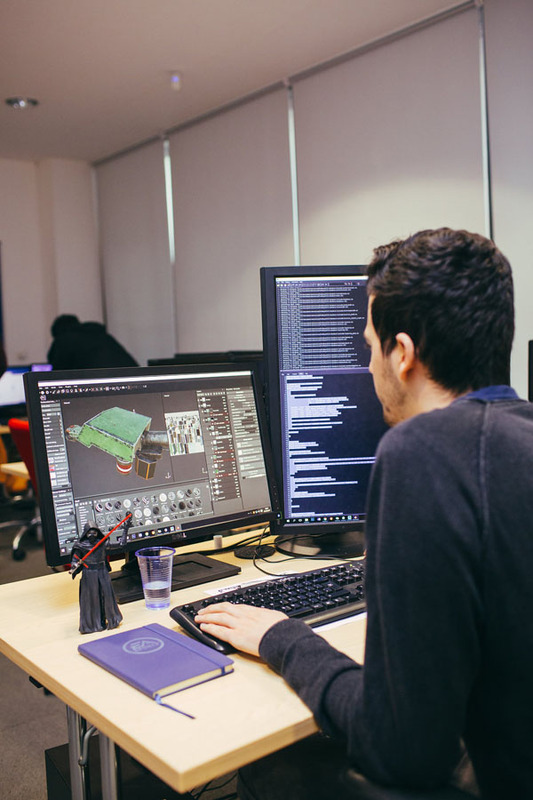 During this placement, you will be required to attend full-time and have opportunity to use development tools such as Unity and Unreal. 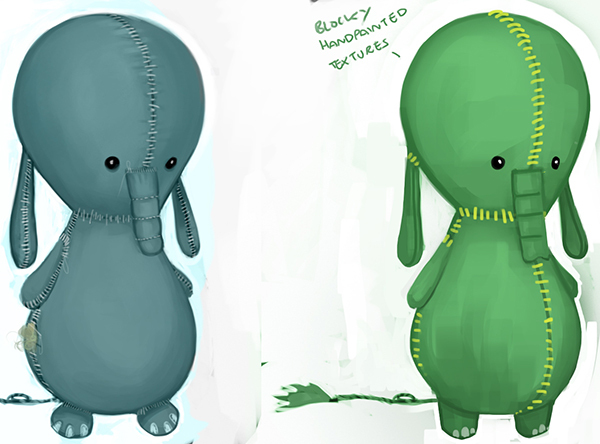 Below is an example* from the 2D Art Production module. Please note, this is just an indicative brief and the actual briefs may vary every year. Take ONE of these classic games and create concepts for an updated version for the Target Hardware – Tablet (iOS, Android). It must include the following key features: a main Character, multiple enemies, environments (at least THREE GUI elements), pre-visualisation and art style. You have three art styles to choose from for your updated game: Scooby Doo (Original), Loony Toons or Steven Universe. Please pick ONE art style and after analysis/research, create a Style Bible for your new game. This art style must be used to inform future art production decisions. At the NTI we are members of both of the Video Games Trade Associations, TIGA & UKIE. We are also a PlayStation First institution and a very active member of the Sony Academic Alliance. 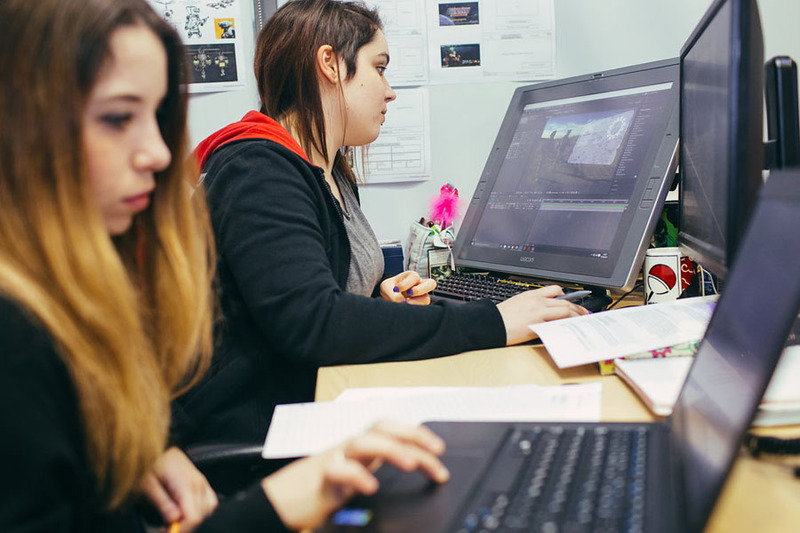 Sophie talks to us about her creative journey and how BA (Hons) Video Game Digital Art has allowed her the freedom to explore.